We had almost 300 photo submissions to the DE 100K likes contest which was absolutely amazing! 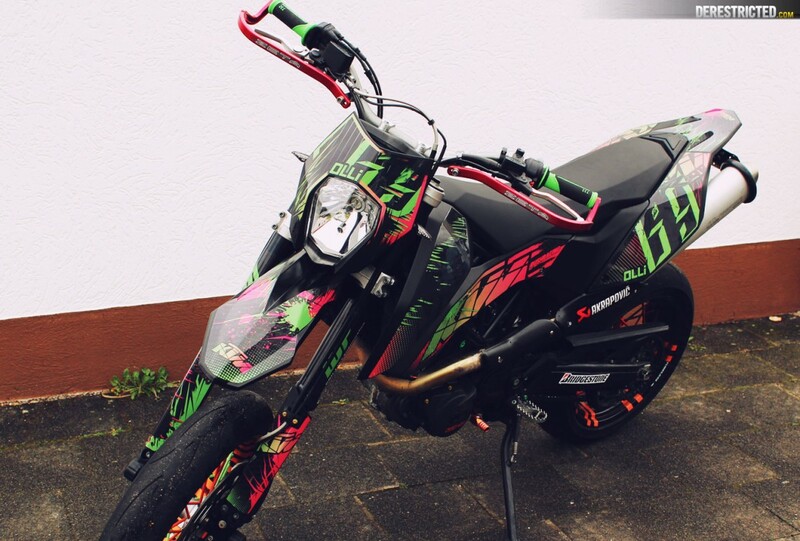 As was the case with the DE 80k likes contest, all the winning photos are of supermotos. 4 KTM’s and 1 Husqvarna. Three 690 SMC’s and two enduro bikes converted to supermoto’s. 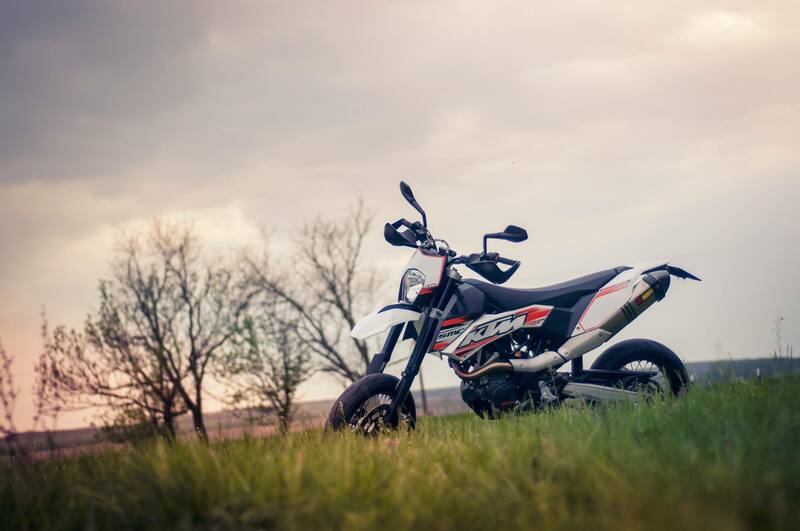 The number one choice of bikes for derestricted readers seem to be Supermotos. 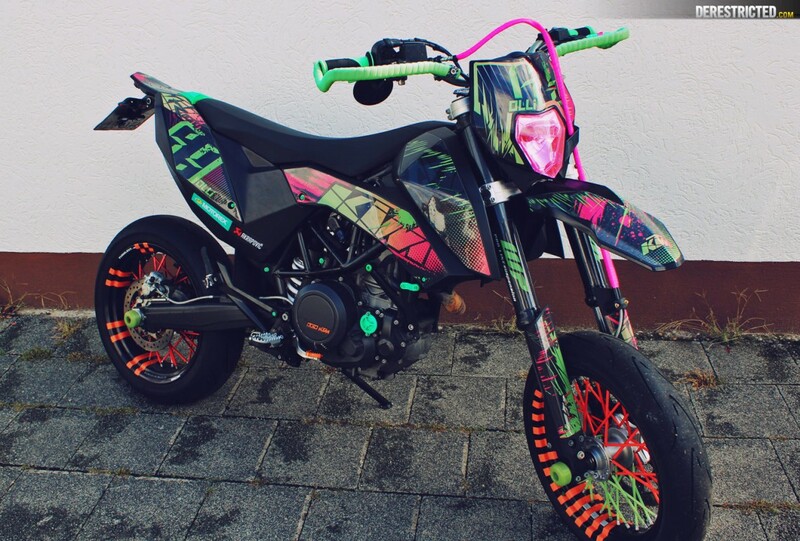 Either dedicated street legal supermotos like the KTM SMC or even more frequently, enduro bikes converted to Supermotos. 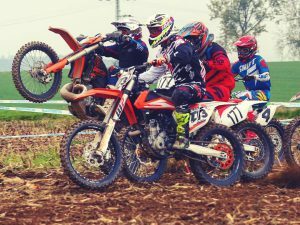 The next most popular bikes are Enduros left in their offroad trim and then motocross. 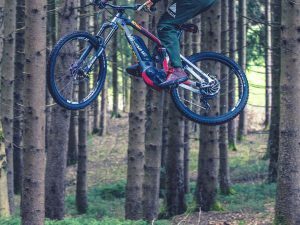 A huge thanks to everybody who submitted their photos and took part in the voting, once again there were so many sick bikes! Right, on to the winners! 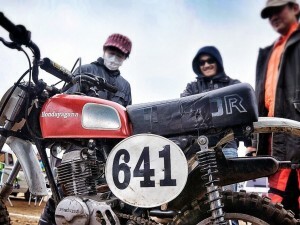 There were 5 bikes all with over 1000 likes, so it seems only fair that we award prizes down to 5th place! Please email us at pierssp@gmail.com to give us your address and sizes so we can send you the prizes. Thanks! 1st Place – 1, 584 likes. 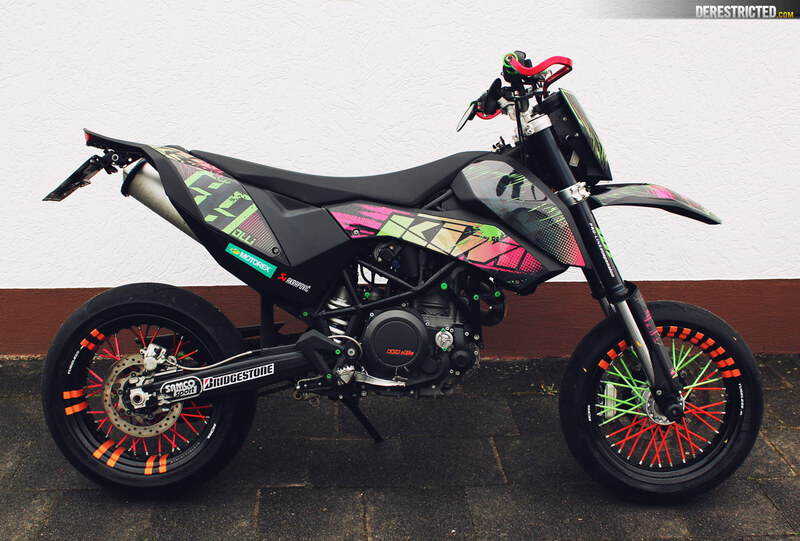 Olli Gerbig‘s fully pimped out KTM 690 SMC. I think he designed the graphics himself, but I like how he used various elements from past KTM’s, such as the stencil KTM logo I designed a few years back, the stripes and the halftones. PRIZE: 100% Barstow Goggles, 2 X DERESTRICTED T-Shirt’s + Stickers and 2X SP Gadgets x DE custom GoPro/Phone bar mounts. 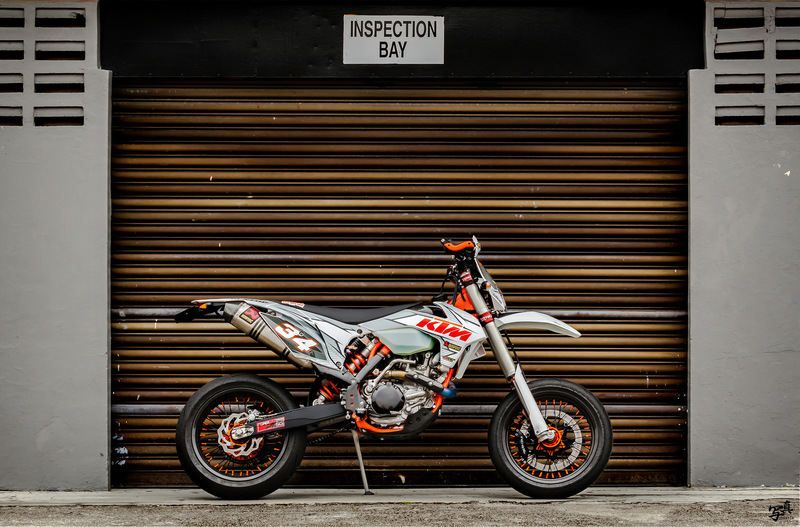 Shashin photography‘s super nice 2016 KTM EXC 500 Supermoto! PRIZE: A pair of Alpinestars Gloves, 2 x DERESTRICTED T-Shirt’s and 2 x SP Gadgets x DE custom GoPro / Phone bar mounts. Roger Oogie Boogie Mabius having fun on her KTM 690 SMC-R! Follow @Rogerobmonster on Instagram . Color, trim and graphic’s designed by DERESTRICTED! PRIZE: DERESTRICTED T-Shirt + Stickers / Alpinestars T-Shirt + 1 x SP Gadgets x DE custom GoPro Phone bar mounts. PRIZE: DERESTRICTED T-Shirt / Stickers and 1 x SP Gadgets x DE custom GoPro Phone bar mounts. Gergő Nochta‘s KTM 690 SMC looking deceptively tranquil. Color, trim and graphic’s designed by DERESTRICTED! 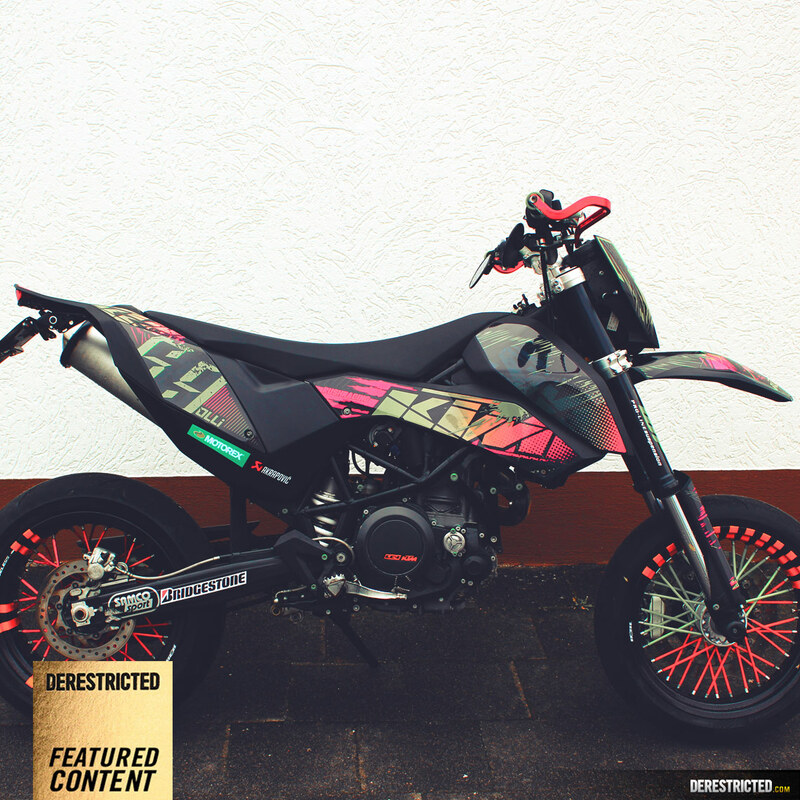 PRIZE: DERESTRICTED Stickers + SP Gadgets x DE custom GoPro Phone bar mount.